Gretchen here, with The Centsible Home’s 15th income report! In these reports, I share three things: 1) the traffic the website received 2) the website’s income and expenses, and 3) takeaways that you can use in your own website’s strategy. Creating a profitable blog isn’t something that happens overnight, or is without a lot of hard work. Instead, creating sustainable profit from a website requires lots of long hours, never-ending work, all of which create a bunch of small wins that add up to big profits. If you haven’t read any of my earlier income reports, you definitely should familiarize yourself with the strategies, takeaways, and info found in those. You can see all of my income reports here. But the point is that making a profit from The Centsible Home (and my other websites) did not happen overnight for me, and it won’t for you either. So, why do I go to the trouble of writing these reports? If I just shared how much money I made each month, you wouldn’t be able to see the whole picture. Sharing just profit only shows you the fun parts of writing and cooking for a food blog, rather than everything that goes into it: 20+ hours a week just writing and cooking, 5-10 on social media, and anther 10 on photography and video. There truly is a never-ending list of things that can/should/have to be done when running a website, so I use the hours I have to focus on the things that get the most results. The rest I get to when I have extra time. The bottom line is this: earning a substantial profit from a blog is possible, but not without sacrifice. So I want to both encourage you in that is is possible, but also give you a realistic view of what exactly it takes to make six figure from a website each year. With that being said, let’s jump into December 2018’s Blog Income and Traffic. If you’re interested in learning more about growing a profitable blog, you should subscribe to my Blogging Newsletter. Packed with actionable tips, tricks, and tutorial for growing a successful and profitable blog, I do my best to help you grow your best blog. And, if you have a question or want me to cover a certain blogging topic, feel free to send me an email or leave a comment and I’ll see if I can address it. If you’re reading this report, chances are, you want to make more money with you blog. I get it! For years, I struggled with how to make money on my blog without being sales-ey or fake. Packed with practical tips you can implement right away, this super helpful mini ebook will help you maximize the revenue you are earning from the audience you already have. It’s a game changer, and right now, for a limited time, you can get it absolutely free! If you are interested in starting a blog of your own, I created a step-by-step 5-day email course that will help you start a blog for only $3.95/month. With that low pricing, you will receive a free domain name if you purchase at least 12 months of hosting. Starting a blog has been one of the best thing I’ve ever done – and I’m NOT technical. Set yourself up for success with an inexpensive, self-hosted blog, and my 5-Day Email Course. What you may notice, if you’ve been following along with my income reports, is that traffic month over month throughout 2018 has been declining. Before I jump into the “why” let me first say that it is important not to get caught up in the numbers too much. Sure, when you are starting out, numbers are all you care about. After all, you can’t get people to come back to your blog over and over again if you can’t even get eyes on your pages in the first place. The reason my traffic is down is because dieting becoming less and less popular as the year winds down, and then explodes in January. That’s just the nature of keto/low carb blogging, and it’s nothing to freak out about. So, what do you do on a blog during slow season? Set up your most popular posts and pages to have their SEO ranking tracked through a tool like Jaxxy. Refresh old posts with better photographs, better SEO, and updated information. My RPM’s have been fantastic during 4th quarter, about $28 per 1,000 sessions. However, starting in January they dropped to about half that, or $15 per 1,000 sessions. 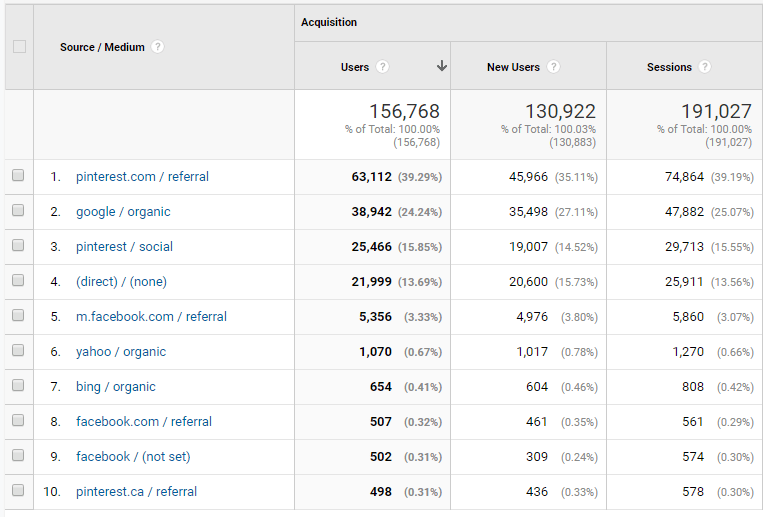 But, my traffic is just about double what it was in December (just guessing, it may be more). First, don’t freak out. The dips are probably normal. Second, enjoy the high RPM’s during 4th quarter, realizing that although your traffic isn’t at its highest point, you income is still stabilizing thanks to them. Third, use the time to stop fixating on numbers, and instead focus on your strategy and the quality of your content. Hang in there, it will get better! During the month of December, I reached 19,900 email subscribers, which was wonderful. However, once I reached 20,000 subscribers with ConvertKit, the cost of my plan was going to go up. I can afford the rate increase, but I knew that I had lots of subscribers who were not opening my emails at all. And chances are, you have lots of dead (or cold) subscribers too. It is a good blogging practice to regularly purge your email list of Cold Subscribers. Some people call these “dead” or “inactive’ subscribers, but the net result of those subscribers is the same: they’re not interacting with your email in any way. And even though getting rid of those subscribers will hurt your overall email subscriber number, it will increase your click through and open rates, which are far more important. Don’t be afraid of purging your email list. It’s actually a good thing to get rid of cold subscribers. So take a deep breath, because it’s going to be ok.
Second, the good news is that actually getting rid of cold subscribers is actually very easy. I wrote a full tutorial on how to do this in ConvertKit, my email provider, right HERE. And if you don’t have an email list yet, start one today! 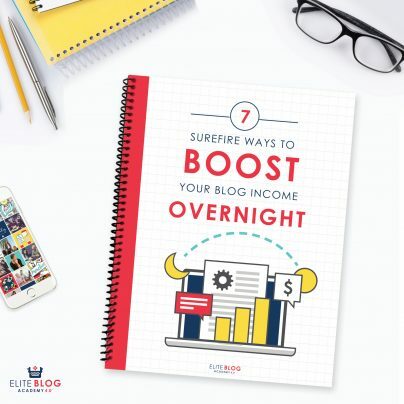 Every single profitable blogger will tell you to start your email list as soon as you have a domain name, because it’s one of the most important traffic and income driving things you can do! Learn exactly how to start your email list right HERE. Oh, and if you haven’t yet, then you probably need my 5-Day Start a Profitable Blog Email Course. It’s free, and will guide you through the process of starting your own profitable blog! Without you, The Centsible Home would not exist as it does today. As such, and I insanely grateful for each and every set of eyes that hits this blog. Every day I wake up grateful, and so it makes sense to say a heartfelt THANK YOU just for being here. Thank you for reading, commenting, sharing, and interacting with my content every day. Omg omg!! congratulations again!!! Your blog income is improving each month! I don’t know if I’ll ever reach where you are right now but I’ll keep trying!